At first glance it appears that yoga is yoga is yoga, but take a closer look and you’ll discover a vast world of yoga systems and lineages, teaching methodologies and techniques, different practices and beliefs, and so forth and so on. Modern yoga has evolved into a myriad of styles, variations and combination of yoga practices, with more approaches being developed with each passing year. And while yoga is for everyone, not every style of yoga is: How do you know what style, or styles, of yoga is best for you? 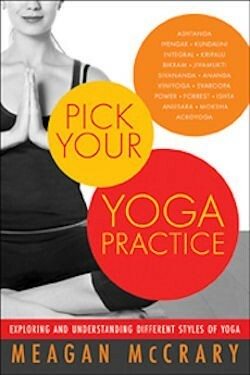 The first step is to know your choices and understanding the difference between yoga styles. The second is to know what you are looking for in ways of a yoga practice. Consider your reasons for practicing; what would you like to gain from your time on the mat? Are you searching for a sweaty, dynamic (yet mindful) workout? Or are you more attracted to yoga’s restorative practices? Do you have any special needs or limitations? Would you prefer a class with personal attention? Or are you interested in some of the more traditional aspect of yoga? What excites you about yoga and, most importantly, what’s going to keep you coming back? Below are a few key styles of yoga for you to familiarize yourself with what’s out there, but remember there’s a whole vast world of yoga styles and systems offering different experiences. What’s important is that if you’re in the know you can attend any yoga class you’d like with confidence. Ashtanga yoga is a dynamic, physically demanding practice that synchronizes breath and movement, producing a strong internal heat as you move through a set sequence of postures. Originating with this style of yoga, vinyasa, which means “breathing-movement system,” forms the foundation of practice. Each movement is accompanied by one breath to create one system of breathing and moving, or one vinyasa. The method is a process of purification, heating the body and eliminating toxins and impurities through sweat. And sweat you will as you move briskly from one pose to the next to the rhythm of your own breath. Side Note: Power yoga, vinyasa yoga and all of the flow variations of yoga were developed from Ashtanga yoga and based in the same vinyasa technique. The difference being that Ashtanga yoga has six set sequences of poses, and the majority of students only practice the first two series. The sequencing in vinyasa flow style yoga is very creative, taking your body on a challenging journey through a variety of postures. Iyengar yoga is the practice of precision, paying close attention to the anatomical details and alignment of each posture. Rather than moving quickly from one pose to the next, postures are built methodically with acute concentration and held for longer periods of time while students receive individualized attention from the teacher. Iyengar teachers are very skilled at offering modifications for injuries and limitations, using props as necessary, making this style of yoga appropriate for just about everyone. Marked by discipline, the method systematically cultivates strength, flexibility, endurance and stability along with correct structural alignment and concentration. Kundalini yoga is a highly spiritual and dynamic practice aimed at expanding consciousness and increasing physical vitality by accessing and integrating prana (life-force energy) throughout the body. The method is multidimensional, using rhythm, movement, breath, and sound to effectively stimulate and shift your energy — something you can feel in your body. The practice alternates between active exercises (known as kriyas) and periods of relaxation, during which you’ll be guided to pay close attention to any internal sensations you’re experiencing. Beginner friendly, Kundalini yoga promotes a strong inward focus rather than outwardly perfecting the poses, promising that all you need to be able to do is breathe and move and you will have an energetic experience in your very first class. Bikram Yoga is a set sequence of 26 yoga postures done in 105-degree heat with 40 percent humidity for 90 minutes. The sequence is designed to systematically work every part of the body from the inside out. You will twist, churn, bend, bow and fold your way through postures, bringing fresh, oxygenated blood to every internal organ your body. The heat and humidity serve to speed up the body’s natural detoxifying process, sweating out toxins while boosting your heart rate. There is no flow between positions in Bikram yoga, each pose is performed twice and held from anywhere from 10-60 seconds. In the end, the practice is just as much an exercise in willpower as it is physical exertion. One last word of advice: Take a few classes. Unless you absolutely hated the experience take a few different teachers before writing a system off. Finding a yoga teacher that you resonate with is just as important as finding the right style. Other than that, don’t be afraid to try something new, you may surprise yourself and end up falling in love with your yoga practice. 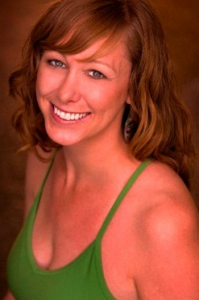 Meagan McCrary is a Los Angeles based yoga teacher and the author of Pick Your Yoga Practice. She teaches for Equinox Sports Clubs, works one-on-one with some of the entertainment industries leading professionals, and holds workshops and retreats nationally and internationally. Visit her online at http://www.meaganmccrary.com.